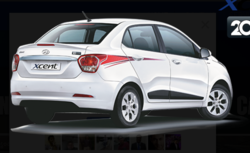 Fusion Hyundai - Authorized Retail Dealer of hyundai eon, hyundai i10 & hyundai grand i10 in Hyderabad, Telangana. 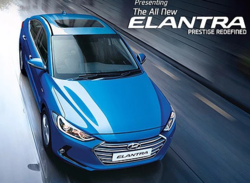 Hyundai Grand has earned the country's highest automotive award in the most competitive and rapidly growing automobile Indian market. The ICOTY award has been instituted by the most eminent jury of Sr. Editors of all the prominent automotive publications in the country. With many first-in-segmentfeatures and the fluidic 2.0 design philosophy, this car is a builtto make everyday an adventure. Inspired by Hyundai's signature Fluidic design philosophy, in a more progressive and refined manner, the made for India sedan boasts of style, quality, space, comfort, safety and convenience. A sWlish exterior design lets the inner beauty shine through. Experience a new driving sensation. The commanding presence of Hyundai's optimised 'Fluidic Sculpture' design with a sleek rear surface and a striking fascia sets it apart from other SUVs.